Cater to zany customers and decorate restaurants in pursuit of your dreams. "Thus far I have played all of the Delicious games. Emily's Tea Garden is one of the older ones but I love it. If you are looking for a cute and fun game, this is it!" 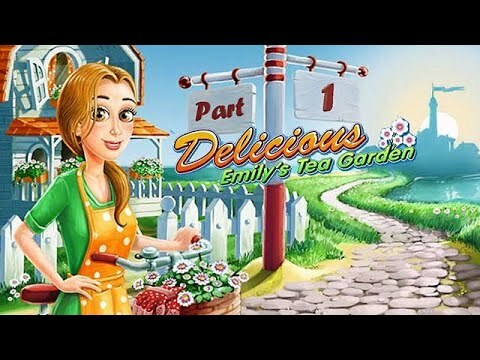 After rescuing her family business in Delicious 2 Deluxe, Emily has big plans to open her own Tea Garden. But in order to make her dreams come true, she's going to have to earn enough money to pay her construction loans by helping other restaurateurs. Help Emily cater to a wide variety of customers as you hire entertainers, decorate each restaurant, and keep up with reservations. More frenzied and more fun than ever, Delicious: Emily's Tea Garden is a treat for the whole family. I had purchased this game many years ago and lost it when my computer crashed. I could not find it at other game sites. Then I came across GameFools and was able to buy immediately! I love this game and was so happy to add it to my Emily collection. Thank you so much for having an older game available. Enjoyed the game a lot. It was so much fun! Really cool game, good graphics, easy to play. I like playing Time Management games a lot. Keep them coming. Fun game, love playing. If you like the Time Management games, you will enjoy this one! Love playing all of the Emily games.